You, the adventure-seeking, countryside-exploring RV owner can conveniently generate your own energy using renewable sources like with solar. However, solar panels alone don’t generate a lot of electricity for your all your camping needs on days that the weather isn’t the best. Another choice would be to install a portable wind turbine along with your panels and benefit from the windy days too. RV wind turbines are cost-efficient and supplement your energy generation efforts at higher rates. Let’s find out what an RV wind turbine really is. What is an RV Wind Turbine? A Wind Turbine for an RV is nothing but a miniature version of the large windmills you see on farms. They don’t generate as much energy as the bigger turbines, but are more than enough energy to run your boondocking camper. These tiny and portable turbines keep the batteries charged and help reduce expenses. Simply mount a turbine on your RV’s roof or ladder and avail the benefits of this renewable energy resource. In combination with solar panels, you can maximize the savings at the same time save the environment. It is necessary to know how an RV Wind Turbine works to understand all its benefits. An RV Wind Turbine works just like a windmill only at a smaller scale, using Kinetic energy. The shafts of the wind turbine rotate as the wind passes through them turning a generator in it. 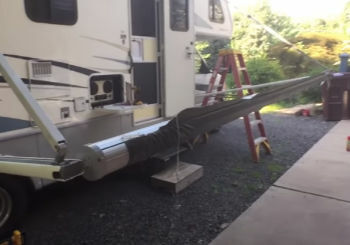 With the movement of shafts, kinetic energy is converted into electrical energy for your RV. Therefore, making it economical and environment-friendly to use an RV Wind Turbine. These mini-turbines generate electricity and harvest it and produce energy naturally. The two major advantages of installing one; they are eco-friendly and cost-effective. Even solar panels use renewable resources to generate electricity, but they are not compatible with longer durations. A solar panel can produce electricity on a small scale which will eventually deplete after sunset. But in conjunction with a wind turbine, the effect of the solar panels is maximized as well. Also, the cost of installation of a single solar panel is a lot more than investing in a wind generator. Solar panels are great for sunny days but what about when it is cloudy? Wind generators adjacent with these panels are safe for the environment, energy sources, and your pocket. It is always wise to consider different attributes of anything before buying the product. And it is not different in the case of an RV Wind Turbine too. – Is it Windy Enough? Before installation, it’s what you should look at. Your RV’s wind turbine cannot produce electricity if it is not gusty. For this, it is recommended to use them in unison with solar panels, if one energy source is not available the other can be used. But with RVs you don’t have to worry about the wind, there will be plenty. – How Noisy is it? Wind turbines generate electricity along with a lot of commotion. 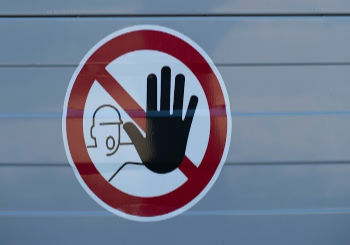 So, for an RV it makes sense to choose one that is not loud like running a generator would be. – Is it Compatible with Solar Panels? Wind turbines are perfect when teamed up with solar panels, but some wind generators don’t support solar panels. So, before buying an RV Wind Turbine always make sure you are able to set it up along with a good solar panels panel setup. Here are some suggestions of the best RV Wind Turbines in the market along with a list of their pros and cons. When you decide to install a wind generator on your RV, you cannot settle for anything but the best. 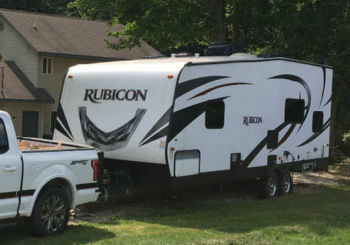 It is mounted at top of your RV and you cannot compromise with the appearance of your vehicle. 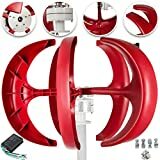 This 400W Happybuy Wind Turbine is the best option if you want to maintain the look and feel of your vehicle. It comes with 3 high-quality blades and a controller making it compatible with solar panels that you already have installed on your RV. These panels are expensive, and you cannot afford to lose them so the Happybuy wind turbine lets you use both these green sources and protect the environment. Its effective design provides more electricity for RVs. The blades are lightweight and have high-quality aluminum and stainless-steel fittings. The outer material for the blade is 30% fiber and is anti-corrosion keeping its reliability intact. 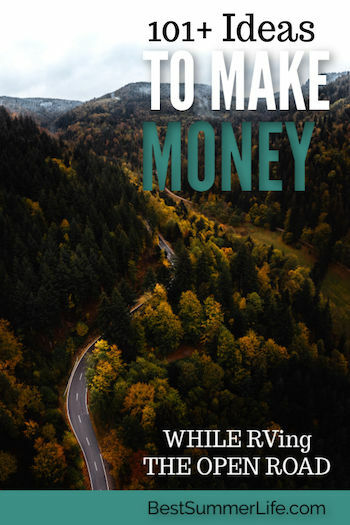 It is best for RVs as you don’t know where your next stop will be. It provides an off-grid power supply so you can enjoy an uninterrupted power supply. It generates electricity at a wind flow of as less as 2.5 m/s ensuring that you don’t run out of electricity. With high-quality materials, Happybuy uses this wind generator serves you longer than your average generator. The controller doesn’t have a lot of options, it can overcharge your RV’s battery. Generating electricity from a renewable source must not mean that the appearance of the RV is compromised. 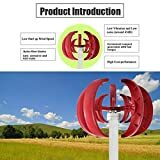 The Spiral Wind Turbine from Happybuy guarantees just that. However, the attractive appearance must not be mistaken for lower power production. It works wonders along with 12V batteries and has an output of at least 3000 watts. The shape and style of the blades allows an aerodynamic generation of electricity and generate the maximum power without much loss. This good-looking generator is very simple to install and uses a three-phase permanent magnet technology. The blades are 1.77 ft large and made from durable aluminum alloys. Here is a list of all the pros and cons of this great RV Wind Turbine. The spiral design of this RV generator provides a stylish addition to your RV. At the same time, its beautiful design is not just eye-pleasing but also aerodynamic. This quality lets it generate more electricity using wind energy. The material of this turbine is robust but that does not complicate installation. 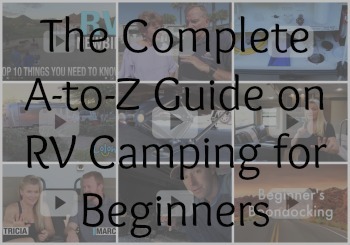 The installation is quick and easy and RV owners can finish the setup in no time. Not many turbines support 12V batteries, but the Happybuy Spiral Wind Turbine Generator does. The only flaw in this great product is that it does not come with an installation kit which makes assembling it a bit tedious. Easy to install: Mount to a PVC or similar 3/4" pipe (Turbine mount hole inside diameter is 1.050"). A mounting clamp is supplied. Designed and assembled in USA with over 70% domestic parts. 12.5" blade: 12+Volts in 6mph wind. Composite cover to protect the generator and wiring from the elements. Output overvoltage protection: 300W TVS blocking diode protects your USB device. No charge controller is needed. 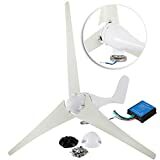 If you are not great with assembling and don’t want to spend more on installation and assembly, the Cutting-Edge Power Mini USB Wind Turbine Generator is for you. The product comes assembled and ready to use with the wiring already done. It supports different mounting types so you can choose to mount it where you want without any hassle. This cutting-edge wind generator comes with a USB light in its package. It has a horizontal axis rotor that allows rapid charging for your devices not different from a normal USB charger in fact. The turbine comes with 3 blades, 5 blades and a high-performance blade that is fit on the generator when it is delivered to you. Overall, this product is portable and delivers its purpose seamlessly. The wind turbine comes assembled and prewired making it easier to install. The quality of all the spare parts that come with it is superior and they are simple to switch if you want to. It is compact but that does not limit its electricity output. 5V of electricity can be generated from as less as 2A of input. There are different types of mounting this product supports. Flush mount, pipe/tube mount, Perpendicular pipe/tube mount, and square mount are the diverse options you get. This is not really a con but with so many options that are available to mount this premium product, customers may get confused. If maximum power generation is your concern, then the lOOkME-H Lantern Wind Turbine is the best option for you. 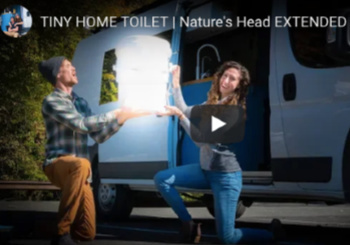 This product makes optimum use of wind energy and generates maximum electricity for your RV without wasting a lot of the harvested wind energy. The unit includes a product with nylon-fiber blades and aluminum alloys and is very compact. With 5 blades and an aerodynamic design, this lantern shaped wind turbine is great for RVs and small homes. It generates an enormous amount of electricity even at low wind-speeds. The material is strong which ensures that the turbine withstands unfavorable conditions and is not deformed by them. The product is highly portable and great look-wise, ensuring a sophisticated look for your RV. However, the great looks must not be considered as negative points for the performance. The product delivers its purpose with finesse at the same time making renewable energy look good. The Lantern Wind Turbine has 5 blades shaped to appear like a lantern. These blades are durable and can survive extreme conditions. This turbine begins generating electricity at a wind speed of only 2 m/s. The amount of power you get at this speed is still greater than what you get from other wind generators. The company does not have a model for this product that supports 48V, but customers can expect one soon. The installation of user-friendly design, convenient equipment installation, maintenance and repair. Using high-power tracking intelligent microprocessor control, effective regulation of current and voltage. The shell is made of aluminum alloy die-casting, with double bearing carrier, anti-typhoon capacity is stronger, safe and reliable operation. and structural design, high wind energy utilization factor, an increase of annual power generation. This premium quality generator allows easy installation and a user-friendly design that does not need a lot of maintenance. It has 5 high-quality nylon fiber blades that generate power effortlessly. The flow of wind is managed efficiently, and the product produces more electricity for your RV with very little loss of energy. 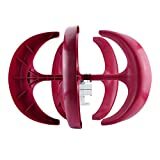 The lantern shape offers the Moorecastle Lantern Type Power Generator a great aerodynamic structure. The RV Wind Turbine works seamlessly in any weather condition. With its weather-resistant blades, it is suitable for storms, snow, and every element. The blades too, are anti-corrosive making the generator last longer. The Permanent Magnetic Generator lets the blades rotate with ease maintaining the aerodynamic nature of the product. If your RV has Solar Panels installed, this wind turbine works cohesively with them. This helps it generate more electricity. The blades of this wind turbine are relatively small in size which does not allow it to generate that much power. All the mentioned products are reliable and compatible with RVs and Camper Trailers. However, you can choose any of these exceptional RV Wind Turbines based on your requirements and budget. But according to us, this Wind Turbine Generator is the best pick for your RV.